Interior/Exterior Color Consultation: Picking the right primary and accent paint colors is the inspiration and backbone to how your home will be decorated and the style you want – that’s exactly why Denise became a Certified Color Specialist. 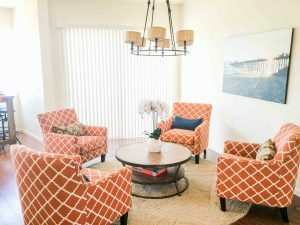 As a Certified Color Specialist, Denise can help you make the right paint color choices (the first time), in order to create a stunning backdrop for your furniture & accessories, but to also avoid costly mistakes of choosing outdated (or unpopular) paint color inside - or outside - of your home. 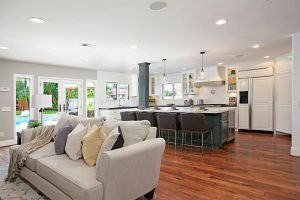 Home Staging: Home Staging is the Art of preparing a private residence for sale in the real estate marketplace. 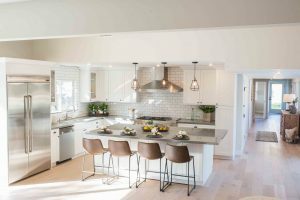 The goal of Staging is to make a home universally appealing to the highest number of potential buyers, thereby selling a property faster and for more money. 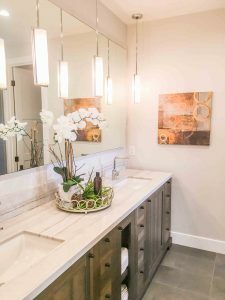 With over 13 years of experience in Home Staging, Art of ReDesigning stages private residences & investment properties by creating the sought after cutting-edge model home look that will help your property stand out from the competition. ARD works with Real Estate Professionals, Real Estate Investors and Homeowners alike by bringing in upscale and trendy furniture pieces, strategic accessories and today's colors - then using advanced staging methods and techniques to make the space feel brighter, larger and more desirable to the largest potential audience. At ARD; our goal is to create the WOW factor to achieve the highest price potential with multiple offers. Interior Design: From individual spaces to entire homes, we help clients create aesthetically pleasing rooms with professional space planning, research and selection of new materials to create coordinated designer look. ReDesigning: Helping our clients with re-imagined & transformed spaces using furniture & accessories they already have but are in need a newly revamped, refreshed design perspective. Many times new furniture, accessory pieces or paint colors can help finish off the look of "new", without the price tag…we call it the Ultimate Interior Design Makeover! Vacation Rentals: VRBO or AirBnB's? Vacation Rental by Owner is one of the fasting growing segments in the San Diego real estate market for both homeowners and investors! Based upon numerous client requests, ARD has assisted in the creation of stunning ‘turn-key’ and highly sought after vacation rental projects, Air BnB’s, and Bed and Breakfast properties. Remember, rental reviews can make or break your rental's future income potential. At ARD we can implement an upscale design plan, style, as well as full furnishings for your rental. We can include everything from dishes to beds that your home is able to accommodate to create a desirable and beautiful home for your renters to enjoy, and most importantly provide a 5 star review for!